Day 2 in California commenced with the most cliche excursion of our trip, a ‘Tour of the Stars Homes’. The decision to go was simply one of following the groups. 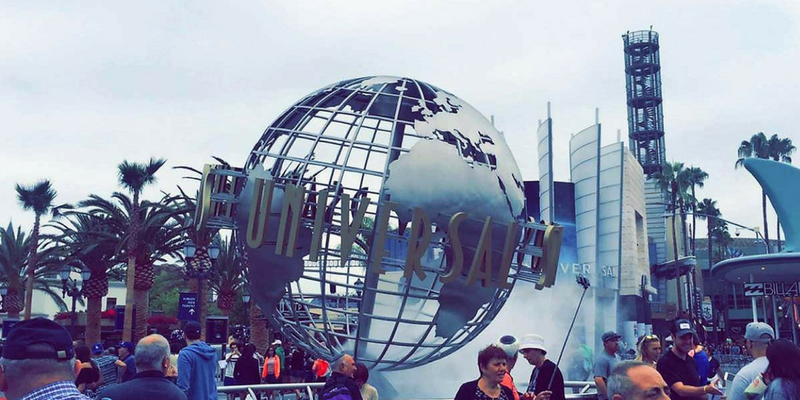 It seemed to be something every stereotypical tourist does when visiting LA. So, being classic Brits, we were sure to jump straight on the bandwagon and booked onto the next available tour. Come 10am we were boarding the open sided mini-bus, and before long were up in the famous Hollywood hills. I have to same the views were stunning, even with the lingering morning fog. Despite the views, I quickly became embarrassed about driving through very affluent areas with a tour guide cracking corny jokes over a mega phone whilst for example, pointing out the room in which Micheal Jackson sadly died in. 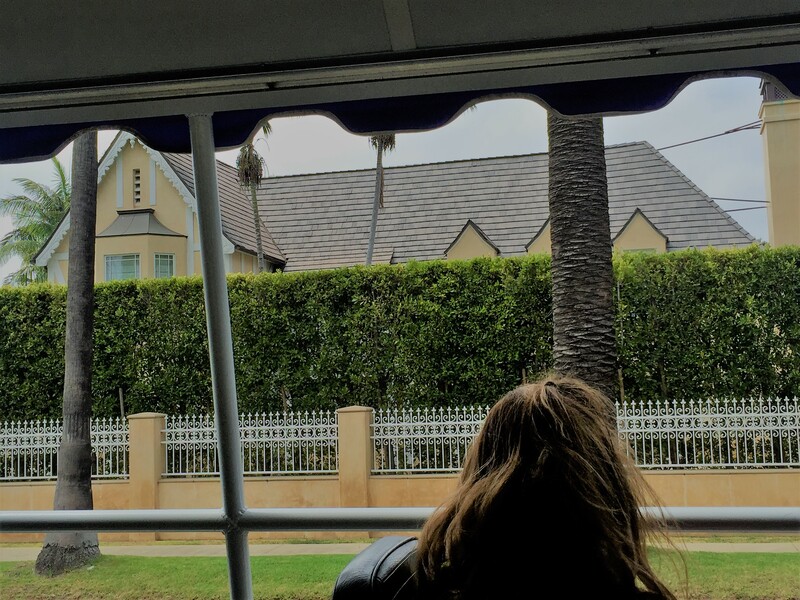 To me the celebrity house spotting side of the trip was rather immoral. There’s something not quite right about pulling up in the driveways of well known celebrities, who quite clearly just want some privacy. 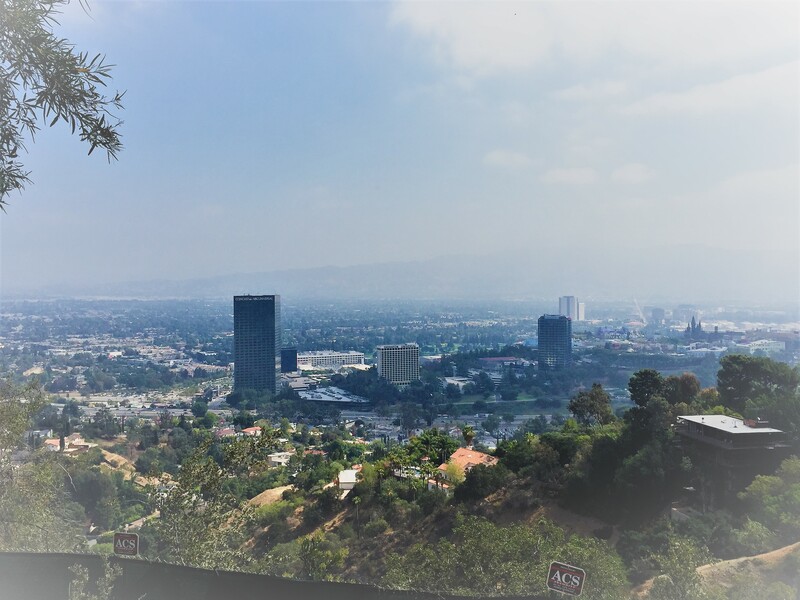 Moving swiftly on from politics… Despite the house hunt, the trip was actually a great way to see wider Los Angeles, without having to hire a car! 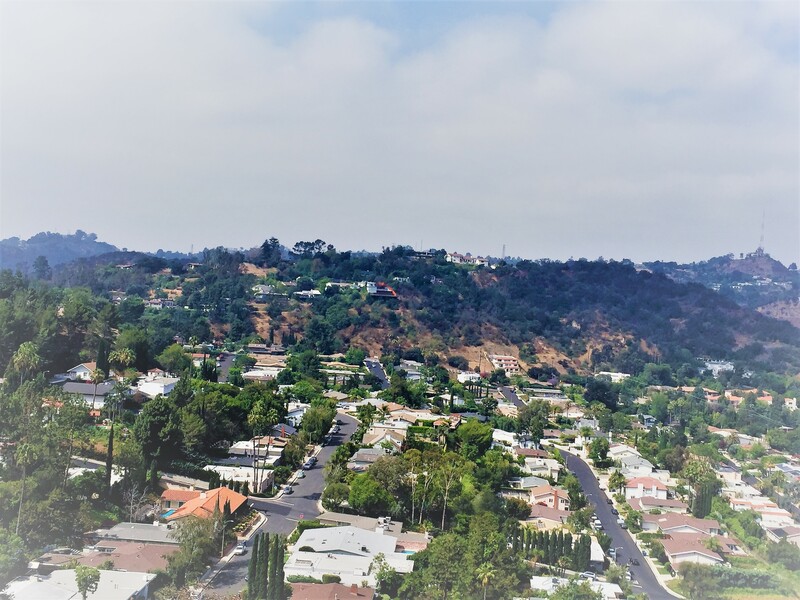 It toured many of the city’s famous districts including Bel Air and Beverly Hills – knowing you’d entered a new postcode by a change in the trees lining the streets. 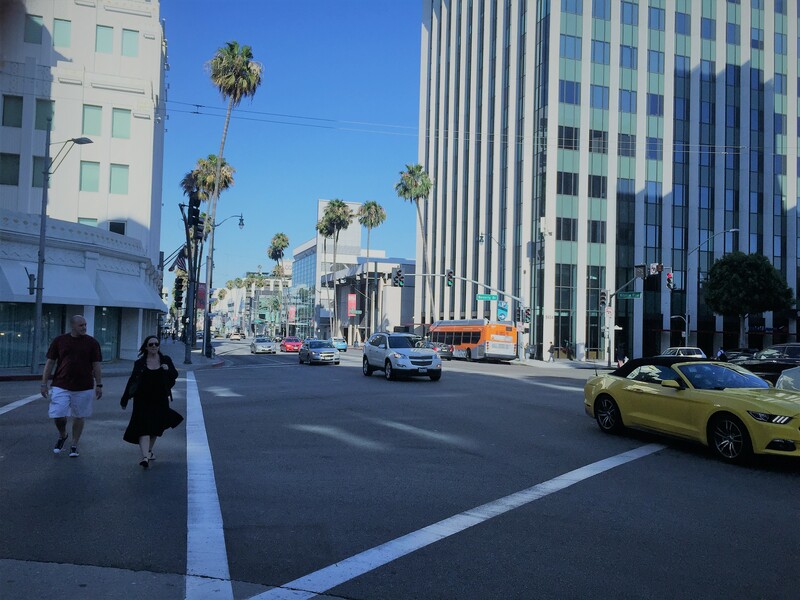 Likewise, we also visited many of the famous roads, such as the Sunset strip and Rodeo Drive… (which I have to admit did spur a shopping expedition later in the day – apologies to my bank balance). DISCLAIMER – This post means no offence to those who run celebrity spotting tours or those who enjoy them. Purely my own honest and personal opinion. I like many was still as excited as the next person at the possibility of bumping into Justin Bieber at Starbucks within the City of Angles. 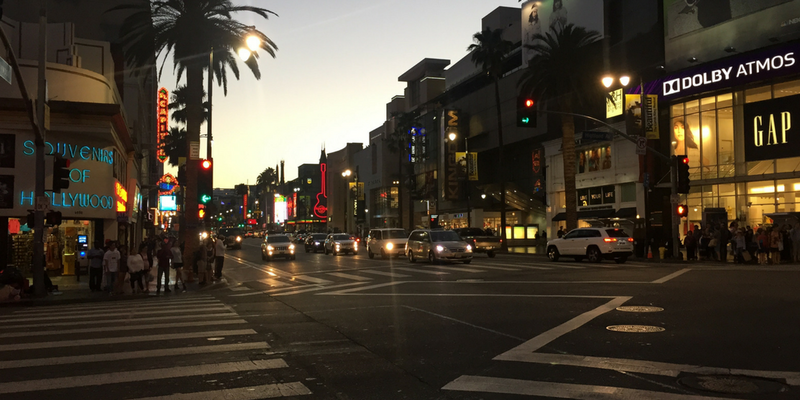 Previous Post Hollywood Boulevard – Worth the Hype? I guess visitors have been touring stars homes since the 30s and 40s. I’ll bet it is still as exciting as it was way back then.